Have you ever wondered how egg donation exactly works? If yes, read on to learn more, and if you’re completely unaware of the procedure, read on for the knowledge. The very first step for an egg donor is to apply to an egg donation program, and go through an initial screening that includes two rounds of interviews – the first with a clinical coordination in a clinic and another with the physicians. This might include some testing as well. Once the test is completed, the applicants are added to the egg donor program and will be matched with a recipient. The recipient couple or an individual can view the pre-screened pool of egg donor online and based on their approval; the candidate is selected, following which a tentative donor egg match is made. The donor is then contacted and checked for the availability. This is not an easy process and in some cases it takes months or years to confirm on the availability due to conflicting schedules. After the dates are confirmed, an FDA required round of testing is performed and an official match is made. The selected candidate is required to self administer daily injections, Lupron in order to suppress her natural cycle. This helps synchronize her and the recipient’s cycle. 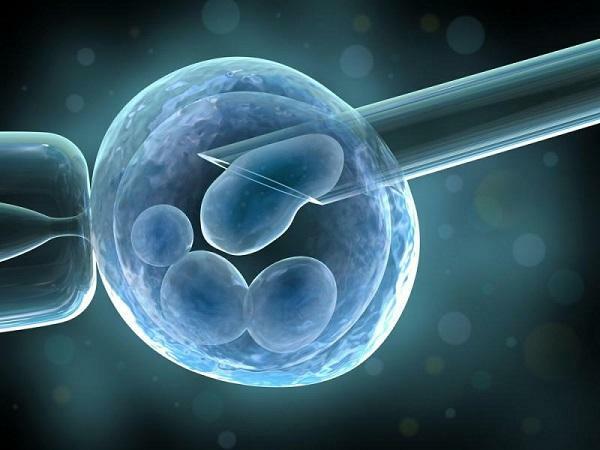 During the ovarian stimulation phase, the egg donor is required to deliver daily injections, gonadotropin to stimulate her ovaries – thus encouraging more eggs to mature for retrieval. Regular blood tests and ultrasound are performed to monitor the egg donor closely to ensure the ovaries are responding well to the treatment. The recipient on the other must be in a favorable uterine environment, with an endometrium of at least 7 mm. She begins the procedure by taking estrogen and progesterone to prepare her endometrial lining for implantation. The process is crucial in the success of the egg donor cycle. Once the donor’s eggs are sufficiently developed, she will be required to trigger ovulation with hCG injection, followed by retrieval of her eggs after two days. Using an aspiration needle, the physician will transvaginally retrieve the eggs from the donor (under I.V. sedation) guided by ultrasound. Then donor should/must take the rest of the day off to recover after the procedure. The eggs are then fertilized with a partner’s sperm, which is immediately followed by incubation of the eggs. These eggs are then graded and embryos are transferred into the recipient’s uterus on day 3, and sometimes on day 5, depending on several medical factors. The donor must undergo several post-retrieval checkups in order to determine if she is recovering healthy from the ovarian stimulation and egg retrieval. Most clinics provide close monitoring of the donor’s progress and also stay in touch with her until the time she fully recovers. The entire procedure of egg donation takes no more than 3-5 week. The recipient must go through pregnancy tests two weeks after the embryo is transferred. The test includes routine blood test for hCG measurement. Once the ultrasound demonstrates a successful pregnancy, the recipient can visit their respective obstetricians for prenatal care. Would you like to be an egg donor and give someone the gift of like? Do you wish to be the catalyst in brining joy and happiness in an incomplete family? We suggest you get in touch with Denver egg donation clinic for seamless egg donation.